The makers of SKIPPY® peanut butter announced today it has partnered with Menchie’s Frozen Yogurt to create a limited edition flavor bursting with peanut buttery goodness. 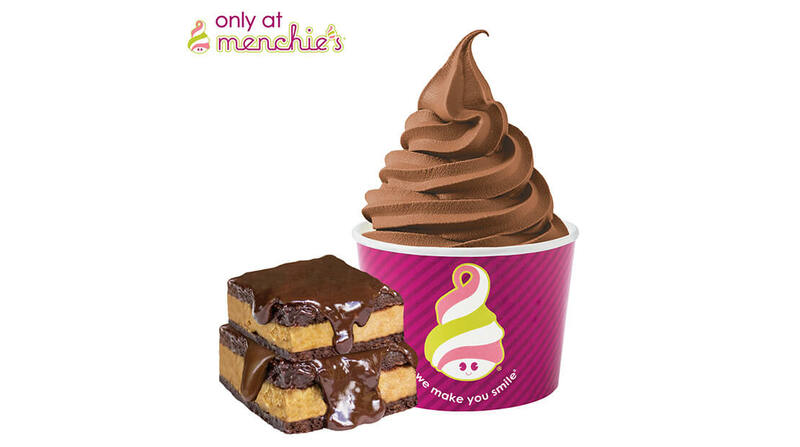 Menchie’s Peanut Butter Brownie, which takes the big taste of real SKIPPY® peanut butter and swirls it into rich chocolatey brownie froyo, will be available at Menchie’s stores nationwide now through the end of January. Continuing its commitment to provide flavors that are ‘better for you,’ Menchie’s Peanut Butter Brownie flavor is made with real SKIPPY® peanut butter and real cocoa powder, and contains no artificial flavors, no artificial colors, no high fructose corn syrup, and no partially hydrogenated oils. Menchie’s creates lasting memories by providing an unparalleled guest experience with a mission to make every guest smile. Menchie’s is a world-leader of ensuring best-in-class products and is the ambassador of frozen yogurt quality worldwide. With 550 stores, the franchise has locations open in the United States, Canada, China, Japan, United Arab Emirates, Saudi Arabia, India, and more. Menchie’s expects to celebrate 600 stores in 2018. Guaranteeing happiness in every cup, the brand offers guests premium rotating yogurt flavors and delicious toppings for unlimited combinations in every bite. The proprietary collection is made from the milk of “smiley” California cows, which have not been treated with artificial growth hormones (rBST). Menchie’s frozen yogurt contains live and active cultures and has received the Live and Active Culture (LAC) seal indicating its endorsement by the National Yogurt Association. For more information, please visit www.menchies.com. Like Menchie’s on Facebook at www.Facebook.com/MyMenchies or follow on Twitter and Instagram at www.Twitter.com/MyMenchies and https://www.Instagram.com/MyMenchies/.